I told you all there was one last package that came in the mail when I got back from Salt Lake City. 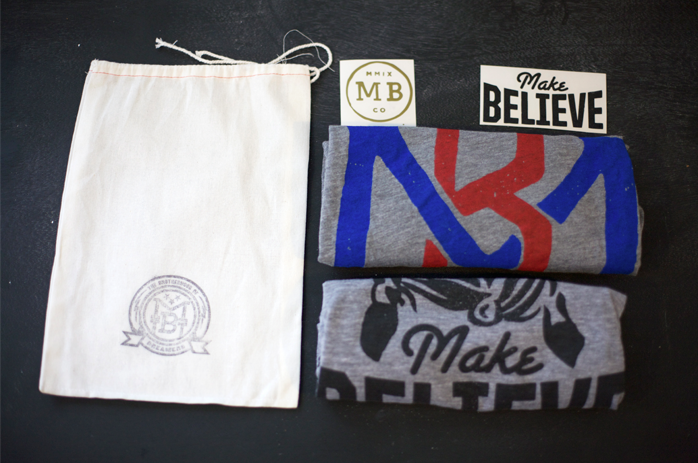 Mike and I have been big fans of the t-shirts at Make Believe Clothing Company for some time. The graphics mixed with the great t-shirts themselves are just too awesome to say no to. All hand screen printed and made perfect in every way. I got the Geronimo tank and Mike got the M&B logo. Yes we have been trying to find every which way to rock these guys. My favorite this far is putting mine under a fun blazer. The casual mixed with the professional seems to work well. 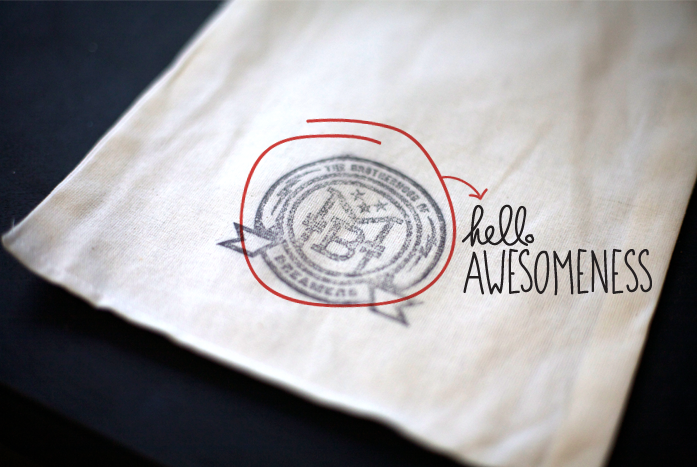 Make sure to check out their shop cause their stuff is awesome. If you have a guy who loves a good graphic tee but is looking for something new this is the place. They are unique and well designed and you know I cannot say no to that.